Another year has almost come to an end, but we've discovered some incredible books over the past twelve months. As always we're rounding up the year by sharing our top 5's which will hopefully inspire you to add some of these titles to your 2019 TBRs! We'd also love to hear which books made your lists this year, don't forget to let us know by leaving a comment our reaching out to us on social media. Happy new year and we'll see you for more bookish content in 2019! 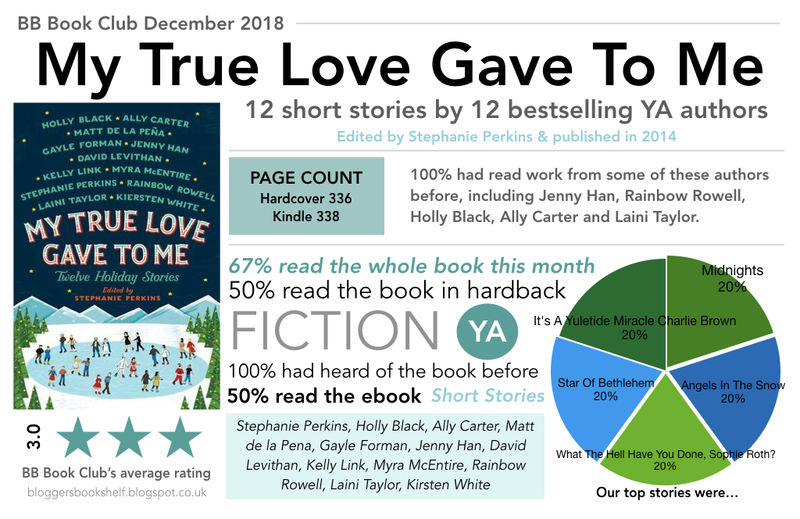 One of my favourite features of Goodreads is how they create a beautiful infographic at the end of each year of all the books you've read in the past 12 months. Not only does it look amazing (shout out to their graphics department), but it's a real walk down memory lane. 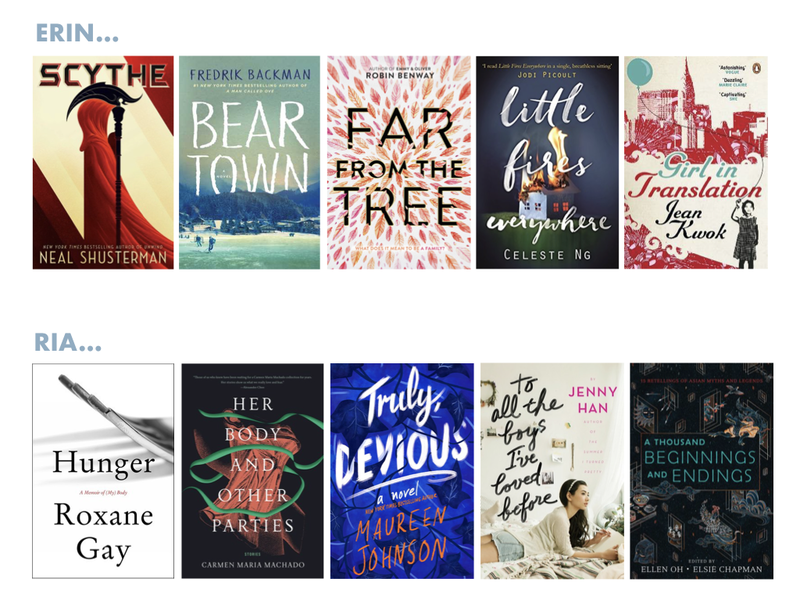 Some of the books I see on the list make me annoyed, because they were such a let down, but on the flip side, I'm reminded of great books I read earlier in the year that I perhaps haven't thought of in a while. Needless to say my re-read list gets a little bigger at this time of year. 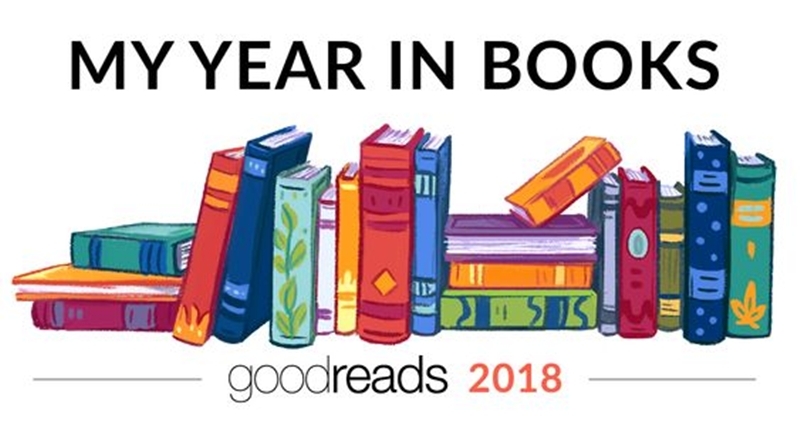 I thought it would be fun, as my last post of 2018, to share with you some of the highlights from my book year, thanks to Goodreads. This year I managed to read quite a few 5 star books, but at the same time managed to get quite a few duds in the mix. 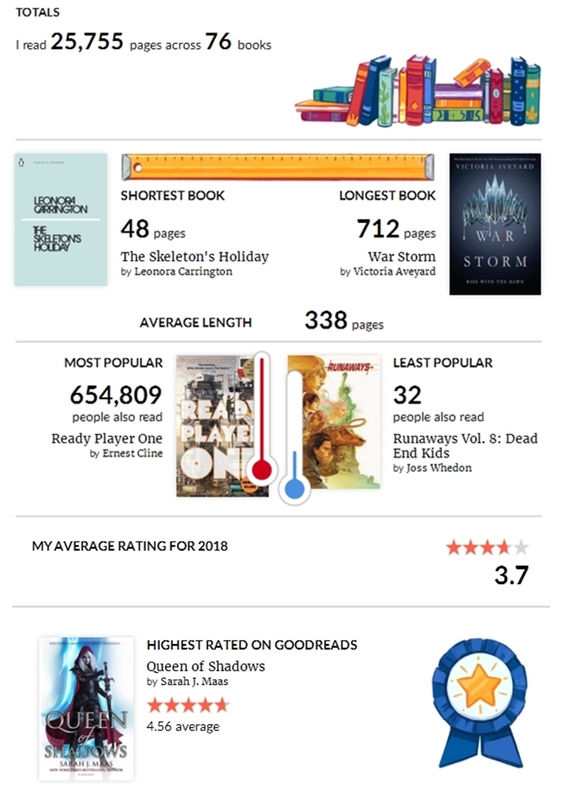 I usually find that most years are a mix of 3s and 4s, with the odd 5 thrown in, but either better books came out this past year or I'm getting better at picking. Who knows, but I find it interesting how much it can change year to year. You'll see my top five faves from the year in our group post, but it was pretty hard to pick just 5! One of the things I wanted to do this year was get into comic books and graphic novels. I managed to read seven of eleven (I think?!) Runaways comics, and read a couple of graphic novels too. Hopefully next year I can a get few more in, so if you have any suggestions, please do let me know! As you can see, I read 76 books this year, and that's a huge number for me. My goal was 45, but I think the reason I surpassed it so dramatically is because a) all those comics, and b) our Book Club this year was full of really short books, which pumped up the goal every month. Overall, a great reading year! What about you? What did your reading year look like? Book Club | 2019's Reading List + Free Printable! We hope you're all enjoying the holidays, rounding up your 2018 reading goals and planning ahead for all the amazing books you want to read in 2019. If you do have room to squeeze in one more reading challenge for the year ahead (we promise it will be a fun one...!) then we would love for you to join us and get involved with our 2019 book club! As mentioned in our last post, for 2019 we're shaking things up a little. Instead of selecting one specific book each month, we've put together a list of twelve prompts that we'll be tackling throughout the year, with team members each sharing their picks for each one. 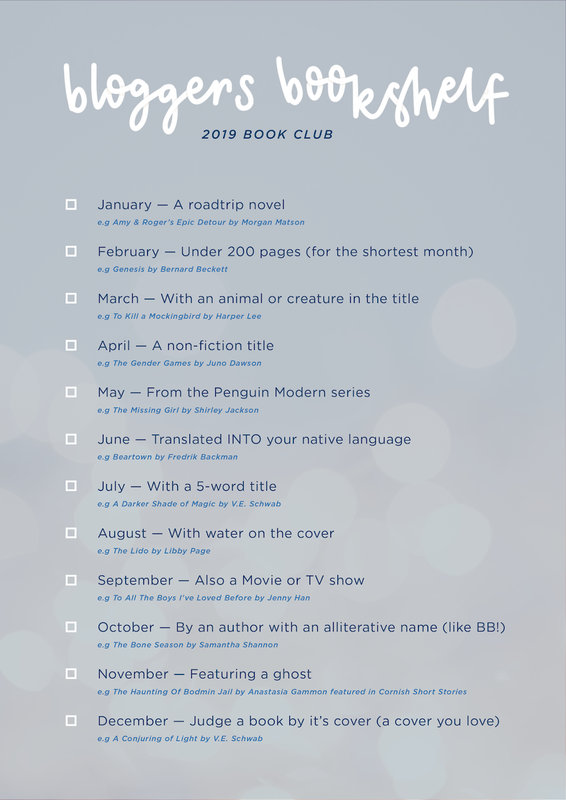 Here on the blog, on the 1st of each month, we'll be introducing you to that month's prompt and the books we each plan to read. In addition, we'll also be sharing some great suggested reads for each prompt, many of which will be taken from our archives and come highly recommended by a member of team BB; perfect for anyone struggling with which title to pick! You can find us on Twitter @blog_bookshelf and Instagram @bloggersbookshelf + don't forget to sign up to our newsletter to receive monthly updates on all things BB, including our 2019 book club! To help us all keep track of the year's prompts Sophie has designed a beautiful checklist which can be downloaded and printed out! Although we'll be taking on the prompts in the order shown below, you are of course very welcome to complete them in any order you would like across the year. Over the year we had thirteen different titles featured as part of our book club. 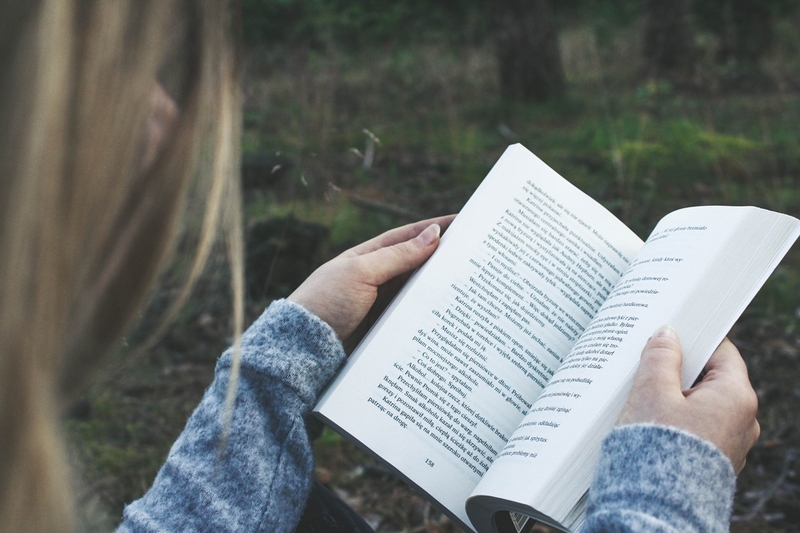 The most popular book club picks were Tales Of The Peculiar by Ransom Riggs (January), About A Boy by Nick Hornby (October) and Dash & Lily's Book Of Dares (October). Ten of our twelve picks were published between 2010 and 2018. The oldest book we read was Carmilla, which was first published in 1872. Seven of the books were short story collections and five were novels or novellas. Our theme for the year was 'short stories' but the longest book we read was A Tyranny Of Petticoats (354 pages) and the shortest was The Skeleton's Holiday (48 pages). As part of the book club we read works by over 35 different authors! Now you may be wondering whether we'll be continuing with the book club in 2019... and the answer is yes, although we're switching up the format! For 2019, instead of us selecting specific books we will instead be sharing a list of twelve bookish prompts and tackling one each month throughout the year. We'll be sharing the books we'll be reading along with some extra suggestions to help you choose if you would like to join in too! Check back here on Thursday 27th December for further details and a printable featuring all of the our chosen prompts! This year we launched our very own online book club, with a new book for you to join us in reading every month. December saw our last pick of the year and also our last following this format as we'll be switching things up in 2019! You're a kaleidoscope, you change every time I look away. Thank you to those who read along with us this month, and to everyone who has joined in with our little book club over the past year. If you would like to get involved in 2019, stay tuned as we'll be sharing more information next week. You can also sign up to our mailing list for book club updates and all things BB. We already have some exciting things planned for 2019 so make sure you're signed up so you don't miss out! 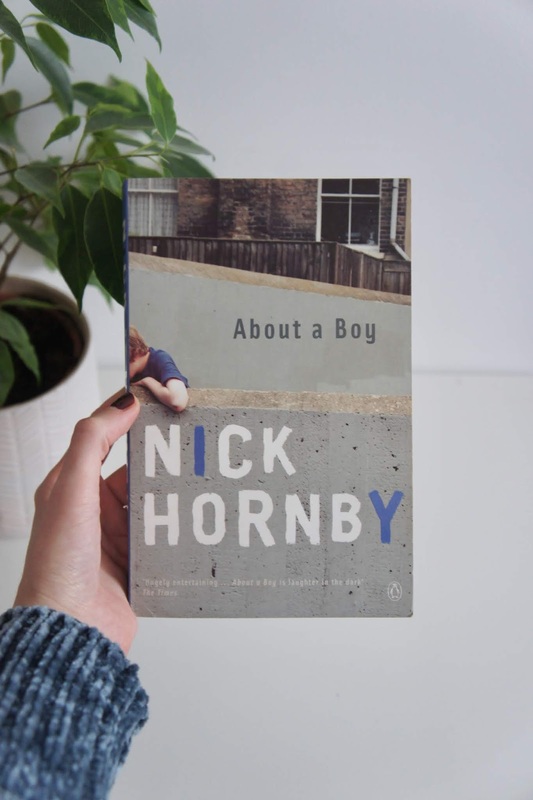 Whilst I hadn't originally planned to use About A Boy for this prompt, things fell into place when we decided to revisit BB's first two reviews for our October book club. The film is quite possibly one of my most-watched of all time (at the time of writing this post, it was added it to Netflix about a week ago and I've already re-watched it four times...) and along with it comes the soundtrack! The book's title features in the lyrics of the song Something To Talk About by Badly Drawn Boy. I bought a copy of this as a potential book club pick and whilst it turned out to be a bit too long to fit our 'short story' criteria, I decided to use it for this challenge prompt instead. I actually ended up really enjoying the book and giving it 4/5 stars. This short story collection was the second Murakami title I picked up this year but sadly I didn't enjoy it as much as the first (The Strange Library). Although there were a few tales that I liked, there were none that have really stuck with me over the past few months. I'm still hoping I'll really enjoy 1Q84 though! One of the most interesting things about You is that it's not just about a stalker, but it's actually told from his point of view. I really struggled with how to rate this novel because I had such mixed feelings, but an adaptation is due to hit Netflix next week and I'm pretty interested to see how they will translate the story onto the big screen. You can catch my previous Popsugar Challenge Update here. From perennially dry turkeys to Christmas pudding fires, from the round robin code of conduct to the risks and rewards of re-gifting, An Almost Perfect Christmas is an ode to the joy and insanity of the most wonderful time of the year. Through a mixture of short stories and personal essays, Nina Stibbe explores all the great Christmas traditions in An Almost Perfect Christmas. 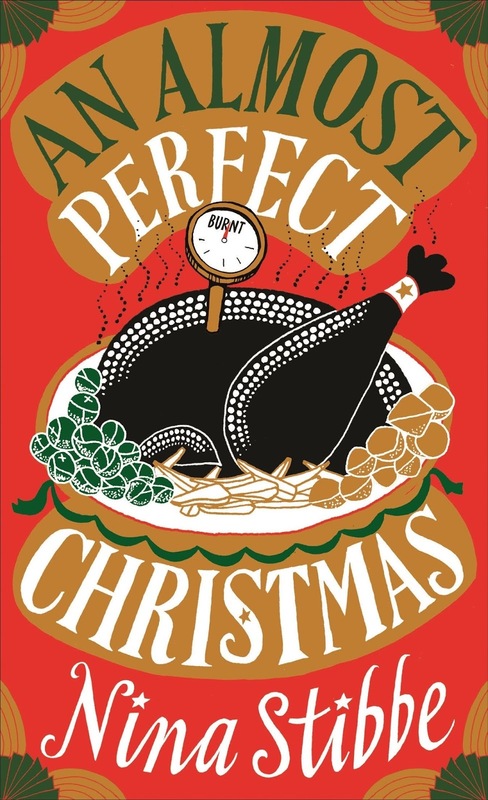 There's Stibbe's mum's yearly struggle to produce the perfect Christmas turkey, a short story dealing with the etiquette of buying presents for your teacher, a definitive glossary of Christmas terms, and many other short morsels of festive fun to be found in this little gem of a book. Full of Stibbe's usual charm and humour, familiar to anyone who has read her bestselling non-fiction book Love, Nina, An Almost Perfect Christmas is the perfect collection for the busy festive season. During this time of year, when people are often so busy that finding the time to read an entire novel can seem almost impossible, this is the ideal book to dip in and out of, the literary equivalent of the best kind of selection box. Each piece in the collection stands on its own, and they can be read in any order, but they also slot together to form a nostalgic and honest look at the trials and triumphs of the classic English Christmas in Stibbe's familiar down-to-Earth style. There isn't a piece in this collection that I didn't enjoy, but my personal favourites were 'Merry Xmas Everybody', an account of Nina's fight to control the Christmas party playlist against the wishes of her sister and children, 'The Christmas Tree', about how the Stibbe family ended up with a less than perfect Christmas tree, and 'Timothy the Christmas Turkey: A Story', a fictional story about a family who try to choose a more ethical turkey for their Christmas dinner. Whatever your favourite Christmas tradition, there is a story in this collection for everyone, to make you feel nostalgic and Christmassy no matter how you celebrate. It's not often I find a book that I really would recommend to everyone, but I feel pretty safe in saying that An Almost Perfect Christmas is the perfect gift for any Christmas lover or, for that matter, Christmas haters who might even come around after reading Stibbe's tale of Timothy the Christmas Turkey. The hardback's petite size makes it the ideal stocking stuffer for all your bookish friends, and Stibbe's view of Christmas is one sure to resonate with anyone who has ever experienced a desire like that of Nina's mum's to create the perfect Christmas. Send Us Your Thoughts On Our December Book Club Pick! 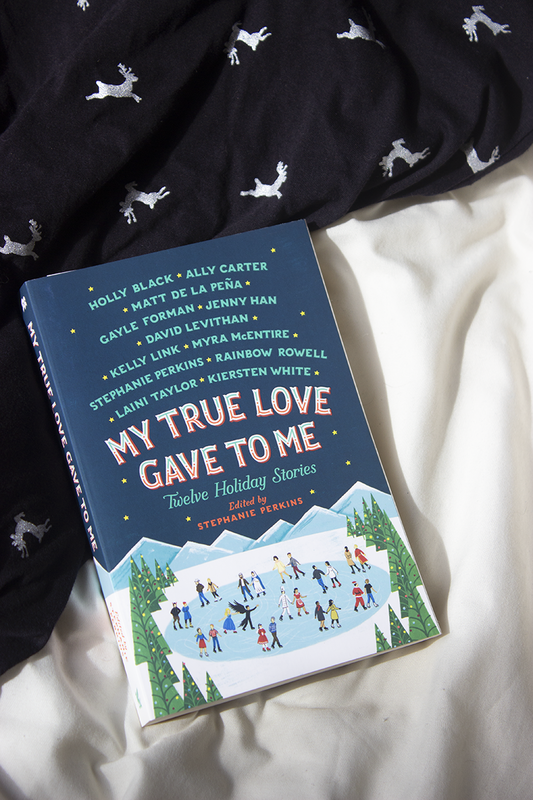 We really hope you're enjoying getting into the festive spirit and reading My True Love Gave To Me along with us this month! There's just under a week left to send us your opinions to be featured in our final roundup and infographic of the year, so don't forget to submit your thoughts and opinions via our Google form if you would like them to be included. You can also tweet us a mini review instead, or leave a comment on our Instagram with your favoruite quote or moment from the book. 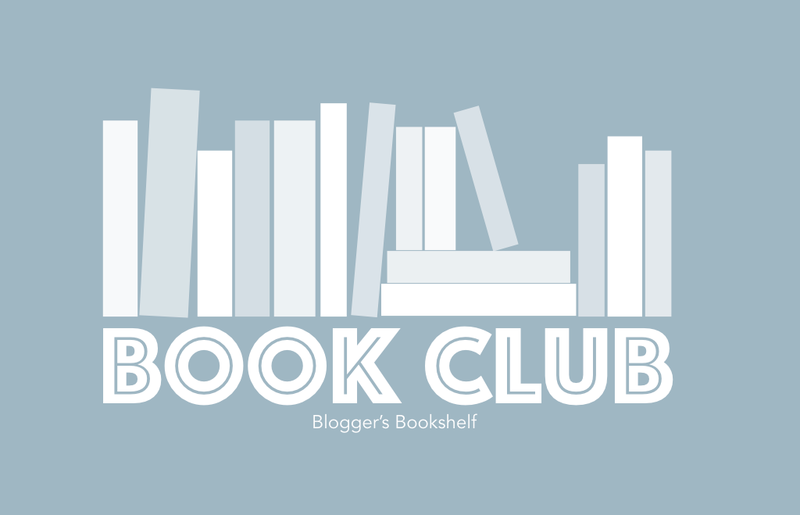 If you haven't had time to read this month's book don't worry, we have a big revamp planned for the Bookshelf Book Club in 2019! Keep an eye out for further updates coming very soon. I don't know about you guys, but I tend to either go all in with a series and read the whole thing start to finish, or read one book in a series, wait 6 months to a year, forget about it, remember it again, forget what happened in a story and try to remember before picking up book two. There's no in between. This year past I read a decent amount of sequels but missed a few that I really wanted to read. 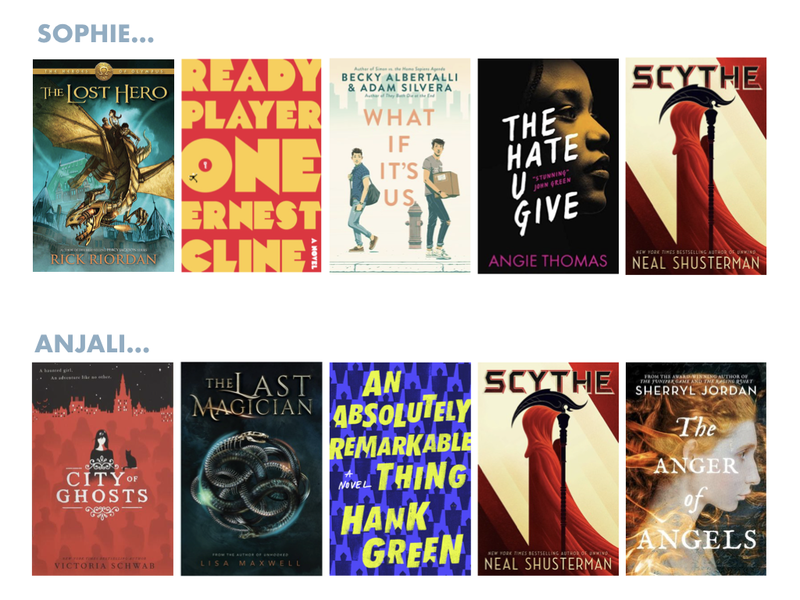 I thought it would be worth while to make a list of some of the sequels that I'd really love to read next year, in the hopes that putting it 'down on paper' so to speak, will actually make me pick them. I really enjoyed the first in this series, A Discovery of Witches. But I read that way back in 2013. Five years ago! The TV show that came out this year is actually really good and from what I can remember, they're holding true to the story pretty well. I'm amusing Season 2 will follow book 2, so I really need to read that before the show returns (though I'm not sure when that will be). Another one I really liked the first book of. This one was a slightly more recent read, 'recent' being 2015. I remember really enjoying this book and it's interesting futuristic feel, but with monsters and magic. I gave it a four stars on Goodreads, so I am keen to pick up the story again. It's becoming my own little tradition to read a Sarah J Maas book at the beginning of every year. It's taken me years to get through to this the fifth book in the Throne of Glass series, but I'm slowly getting there. This coming May I'm off to see Maas at the Auckland Writer's Festival, so I'm hoping I can catch up before then. Or at least get this one read. The first in this series, The Last Magician, was one of my top five favourite books that I read in 2018, so I'm hoping that it's sequel will be just as good. I have yet to buy it yet, but if Christmas and my birthday (in January) don't quite deliver it, then I'll be gifting it to myself. The final installment in Clare's The Dark Artifices series, this book came out a few weeks ago and I am really looking forward to picking it up. I suspect this will be a read in the first few weeks, so I think out of this list, this is one most likely to actually happen. What sequels do you hope to pick up in 2019?